Bring a contemporary edge to your images and create high end art pieces worthy of any museum wall with canvas foam wraps. Labwrapz are an affordable way to transform your photos into beautiful elegant artwork. 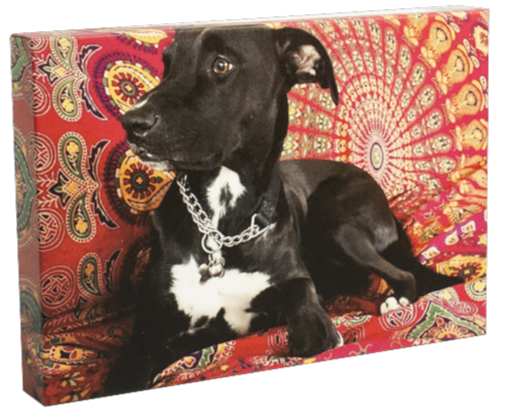 The Labwrapz method provides stunning colors and definition with more pop than traditional canvas prints . Our Print Lab prints your image on canvas embossed light-weight polystyrene foam. It is then folded making your image a 3-dimensional piece of art without using a traditional wooden frame. This method mimics upscale artwork found in boutique galleries. The frameless presentation of Labwrapz is ideal for clients that want high quality prints that are easy to display. *Please allow 3 Business Days for handling.